Rather than just the usual post event report following on from our event at Epsom College at the weekend, we thought we would include an overview of the 2017 Series and offer a few insights into what might be in store for 2018 too. So please accept our apologies that this report is longer than usual. We would like to begin by thanking you all as either our participants and/or our participants’ parents. Your support throughout the year is really appreciated and valued. It really has been a joy to see how you have all taken up the challenge of multi-sports irrespective of age and we feel tremendously proud to have provided a safe, fun, non-threatening and family oriented introduction to the world of multi-sport. We know we have not always done as good a job as we had wanted to and we have definitely had some dark moments when we have let a number of you down badly with some of our decisions. Especially what will be known as “Dave’s Major Folly” at the Alice Smith Aquathlon. On these occasions we don’t mind admitting that we have gone home dejected and disappointed with ourselves but even so, we have also returned with a Live More feeling of knowing that we have tried and given our best. We sincerely hope that after Sunday’s event that you all went home with a similar feeling. In our opinion every one of our participants put in some incredible efforts to finish their individual race and the evidence was out in force that everyone was “stronger than your strongest excuse” on Sunday. 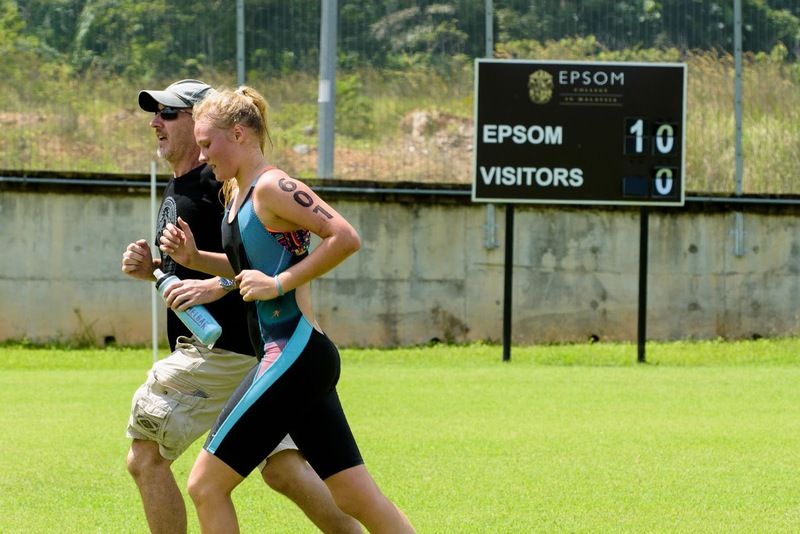 As perfect examples of this which we hope can inspire others of you who are just starting out in the sport is the fact that this time last year here at Epsom College, there were two young participants who did a Triathlon for the very first time. These two young participants received on Sunday not just the winners trophies but were also crowned as the Series Champions for their respective age groups proving that if at first you don’t succeed trying, training and trying again really does pay dividends. Whilst we are doing some thank you’s, it would be very remiss of us if we did not thank a few other people too so please be patient with us while we thank and recognise all of our venue partners. This year these have included Marlborough College Malaysia, Nexus International School Malaysia, Kuala Lumpur Alice Smith School, Tenby School Ipoh, Australia International School Malaysia & Epsom College in Malaysia. Almost, without exception, all of these great schools have given us complimentary access and use of their incredible facilities. 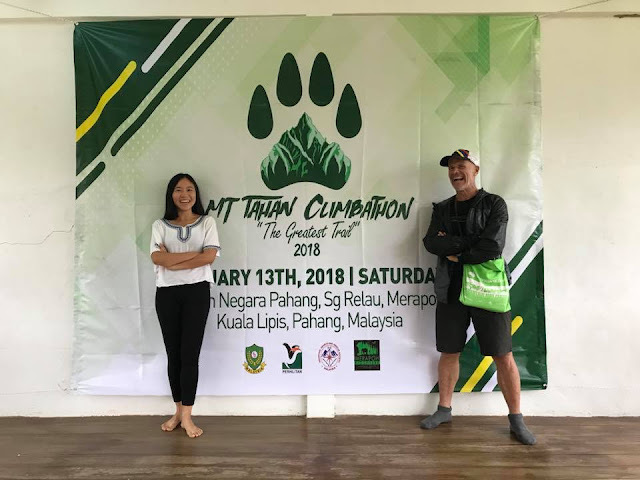 Additionally, they have supported us in other important ways with wonderful volunteers from their Teaching Faculty and Student Body who have been drafted in to boost our regular team of Tri Hard Volunteers. We would of course also like to thank and acknowledge this more stable team of volunteers as well. As seriously folks, without these people, many of whom are Mum’s or Dad’s themselves of our participants and/or friendly Triathletes and Runners who enjoy giving back to help future generations learn to Live More through being active and healthy, we could not have put on this series of events. ULTRON Our official Apparel Partner who provides us with quality Tee’s and meaningful slogans to help ensure that the events live on beyond just the day of the event. CHECKPOINT SPOT ASIA Our official Registration Portal and Timing Team. Just as we’ve really enjoyed and cherished what we hope will be a long standing relationship with all of you, we are privileged and proud of the long standing relationship we’ve created with the people in these organisations and whilst we are looking to change quite a few things for the 2018 Series we have no intentions of changing these relationships in any shape or form. Sadly, we were missing quite a few of our registered regular racers. 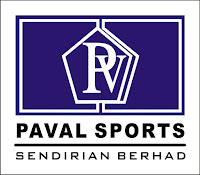 We understand that this was due mainly to a few other events like Ironman Malaysia and the ISAC Swim Gala choosing to hold their events on the same weekend. We could have viewed this as a bit of a negative as, after all, we had announced the date for the Epsom College event well ahead of the announcement of both of these events. However, let's be honest, we are just a small niche event and can't expect for anyone to defer their plans simply because of our existence. Also, as part of our ethos at Live More is to see the "glass as half full" rather than "half empty”, we actually feel that it's great to have a healthy active calendar of sports events as much as it is to have a healthy active lifestyle. 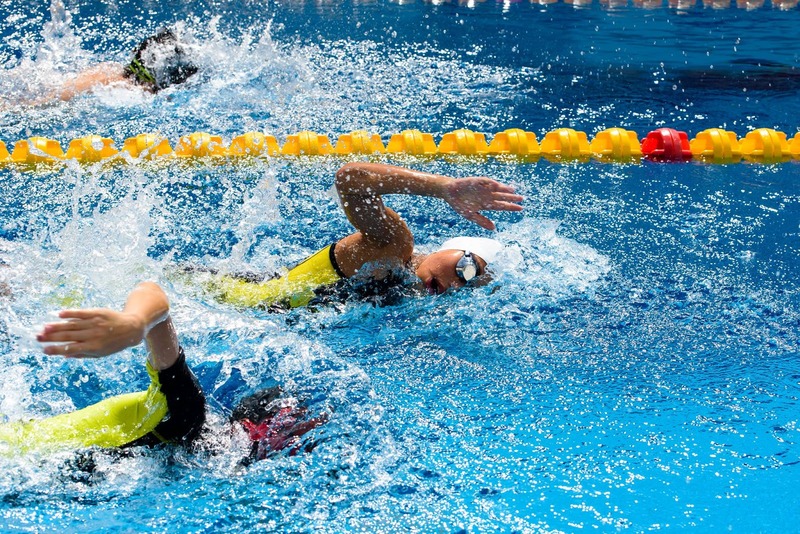 We suspect that there was some serious pressure from the School Swim Squad’s on the fast swimmers particularly to represent the School. 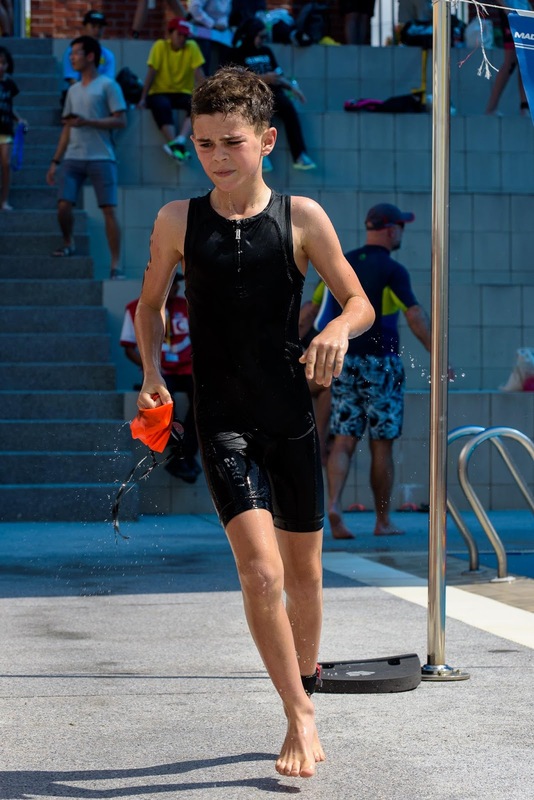 So we were really appreciative to see so many of our regular Junior racers give our event priority over the swim meet and coming along to try and finish off what many of them had started back in March at our opening event for 2017 at Marlborough College Malaysia. 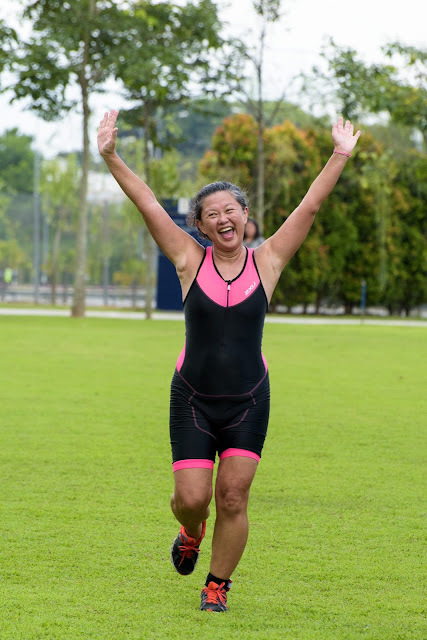 Additionally, as it always is, it is truly really wonderful to see a lot of new faces also giving their all and trying out Triathlon for the first time. It was all the more special for us to see a few of them surprising themselves on Sunday by getting on the podium too. Like Marlborough College, the event at Epsom College affords us the luxury of a traffic free bike course and therefore, there was never any doubt that this event would consist of all 3 disciplines. Sadly, the same cannot be said of all our other venues this year as, with the increasing development and occupation of properties around many of our other venue partner locations, traffic is becoming an increasing concern. As such, we have already reviewed the safety at certain locations in terms of riding a bike, and we'll continue to do this. If we cannot get roads closed and consider it too risky for a biking element to be included, we’ll not hesitate to change formats as safety will always be our first priority. Thankfully, as we mentioned, Epsom College in Malaysia is not impacted by these increasingly worrying safety issues regarding traffic density around their campus. Nor, is it likely to be for several years yet thankfully from all accounts. Another bonus that Epsom offers our event is a superb spectator gallery from which, following some major changes to the run course this year much of the bike and run courses can now be viewed from. Not only did we all get a great view of the races from this vantage point as they unfolded from the pool, to the bike and then out on to the run course. 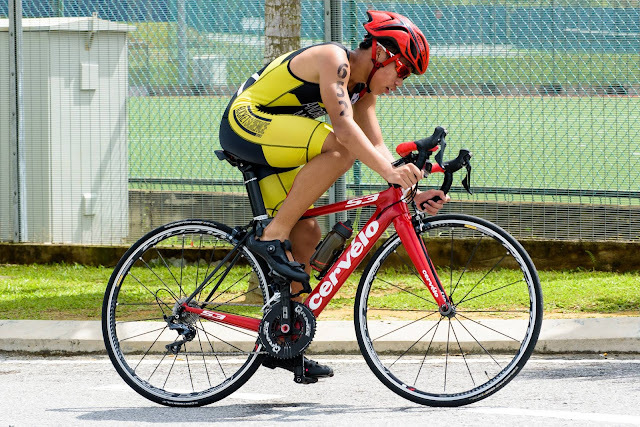 We were also spoilt with some exceptionally exciting and determined performances as the participants, young and old, battled for their place on the podium and the final set of valuable series points. Some came from behind to win others battled hard to hold on to their slim advantages. All races were exciting and exhilarating for the spectators. In addition to those battling up front, we also witnessed as always some really awesome acts of courageous endurance as racers new to the sport found it necessary to dig deep to battle their "demons' within that wanted them to stop or slow, so that they could finish their own personal race and be the best they could be. 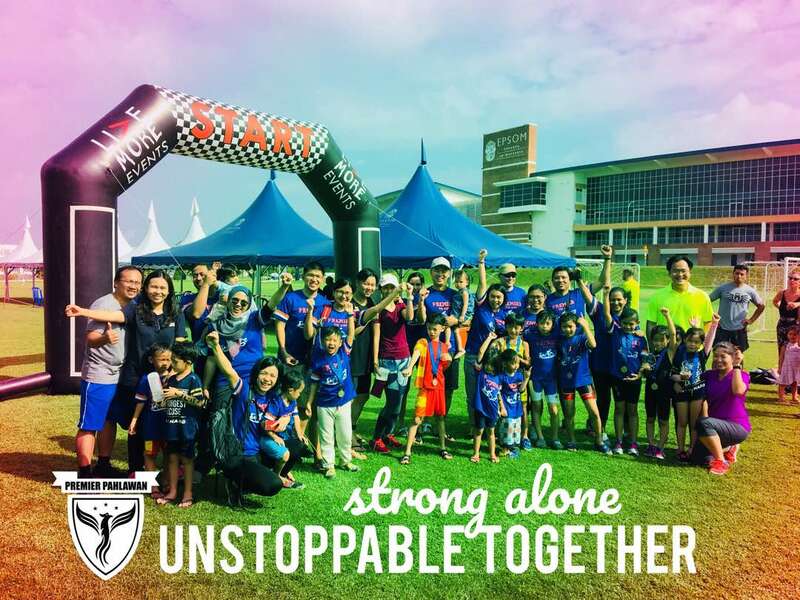 It is really inspiring to see these feats of endurance from everyone however one of the other highlights of the weekend for us was the sportsmanship and camaraderie shown towards and by the participants. We mentioned in our last race report how excited we were to see the "esprit de corps" emerging with clubs like Team M3X from Putrajaya and Team Premier Pahlawan from Melaka. Well this time around, as well as this, we also witnessed a fantastic sense of collective community spirit in which people were not just cheering and supporting their own family, team members and/or fellow students but, most importantly, complete strangers were receiving equally strong support as well. As we know enthusiasm is infectious and we’d like to make a special mention here to our Epsom College volunteers as they were very much the principle “Cheerleaders” out on the course and we have had numerous notes of thanks from parents and participants alike commending them for their efforts in this regard. This sense of community has really inspired and excited us for what the Series has in store for us all next year. 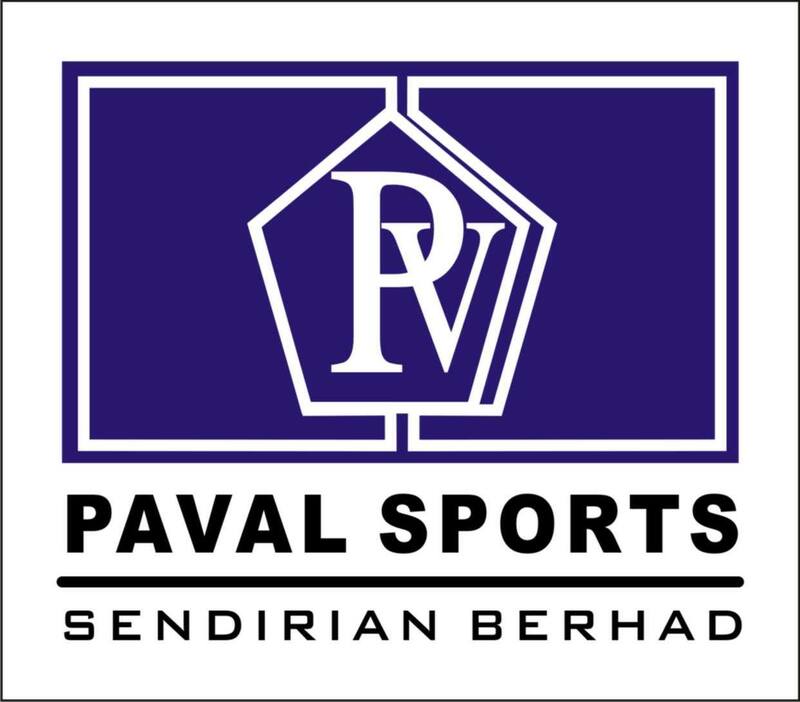 In terms of this, whilst we're still yet to finalise the full series calendar for 2018, we can confirm that the series will most definitely be back with or without a sponsor and will kick off back at its birth place at Nexus in Putrajaya on 25 February before heading South to Marlborough College in Iskandar, Johor on 17 March. We are not intending to expand the series beyond the 5 events we've had this year as we still have serious and exciting plans for Live More Events to be doing other stuff. However, after the fun that we felt everyone was having (ourselves included) at Epsom we are not intending to shrink it either. In addition to some potential changes in venue partners, there will definitely be some other changes. As nothing and no one should stand still, we are taking the opportunity to align age groups and distances more closely to those that the major National Federations are using and which are sanctioned by the ITU, the sports global governing body. Additionally, we have been pondering how we can stay on point in terms of our purpose of providing a means for new participants to have a safe, fun and non threatening way to try out a multi-sport event like Triathlon whilst still keeping those more experienced juniors with a medium to grow and get faster. In the process of this pondering we believe we have come up with a more serious test for them which will hopefully also see more mature and established athletes returning to the roots of their sport to entertain and test themselves as well as help these fast juniors get faster. In conclusion, whilst there are, we believe, very exciting times ahead there are also some wonderful moments in the now that we must be mindful of and cherish. So we’d like to finish off by sharing two fantastic highlights for us from Sunday. These relate to this sense of community we mentioned earlier, as over the weekend, we witnessed possibly the two most amazing examples of camaraderie and sportsmanship that we have ever experienced. What’s more they involved not professional and experienced people but straight forward ordinary young people and because of this they were made all the more magical. The first of these amazing moments took place in the U10 Boy’s category and involved two young men who were both battling together towards the finishing line. One had a late surge and whilst we knew it was close, we naturally and intuitively made a judgment based on our view of the line as to who had won. This was an important decision as it was not just about the top of the podium, as the two young men, were both in contention to be crowned as the Series Champion too. As a result, we were, we confess, rather relieved that the decision would be made by the timing system rather than ourselves, as that could separate the lads to the 1,000th of a second. Later on, once the provisional results were posted, I was approached by the Father of the Lad who we thought had come second by a whisker. He explained that he was worried that the timing system was wrong as he also thought his son was just pipped to the post by the other young man but he had seen that his son was provisionally being awarded the win by just 100th of a second. This provoked a discussion with our timing team and after suitable reassurances about the systems robustness we were initially going to explain that we would award the result based on the times. However, before I had the opportunity to make this ruling, Hugo Tan, the young man that was according to the timing system the first over the line, spoke in a very mature and humble manner to say that he felt that his competitor had beaten him fair and square across the line and that he was happy to concede defeat to him. This was a very generous and honourable thing to do and Dave, who is not known for his sensitivity, had, he say's a visible lump in his throat! This was made all the more significant because in taking 2nd place in the race young Hugo also gave up the chance of being crowned the Series Champion. We did not over rule this generous gesture as, as surprising as it was, we also felt it was the right thing to do as whilst we had seen the late surge and the other lads chest definitely crossing the line marginally ahead of Hugo’s, his left ankle (which none of us other than the timing system were looking at) had crossed the line fractionally ahead of Nicholas's. It was a remarkable piece of sportsmanship and one that will live with us for a very long time. It is also a lesson for us all in the potential flaws of our timing system. As on reflection, we realise that Hugo was most likely leading with his left foot and we suspect that Nicholas, who humbly accepted Hugo’s decision, was leading with this right leg. Thus, with both chips being on the left ankle the timing system recorded Hugo as being over the line 100th of second quicker. This could cause us a problem in a very close finish as the first across the line in a dead heat or photo finish is always determined by whose chest rather than ankle crosses the line first. As a result, we believe we hope Santa Claus can bring us a couple of GoPro type cameras for Christmas to assist us in the future should this situation ever happen again. The second moment of magic involved the U18 Girls race. This was a competitive and toughly fought race but by the final lap of the run the leader had built up a strong and unassailable lead. 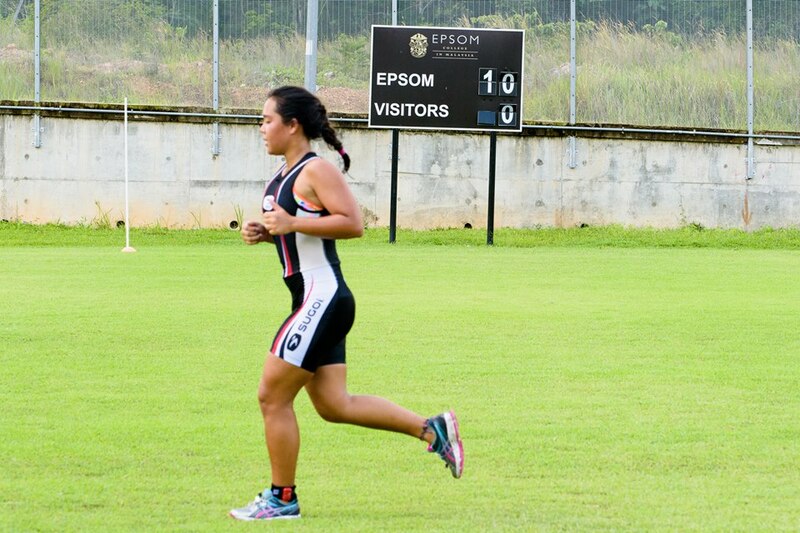 Sadly though, she missed the entrance to the field and run on to complete a 3rd lap allowing the 2nd place Girl to cross the finishing line in 1st place. As predicted by her Father, this young lady (Kylie Compton) spoke to us at the Finish Line and explained that she would like to concede the victory and give it to the other girl as she was never going to catch her and she “deserves to win”. We were again humbled at this act of sportsmanship but whilst we appreciated the logic of this we explained that we were inquisitive as to what the other girl (Esmae Burditt) thought should happen. As a result, we arranged to speak with her after she'd recovered from her extra long run and asked her not only what happened (to ascertain if it was something we could have prevented) and what she thinks should be the decision regarding her finishing time. To our surprise and delight rather than blaming a Marshal for misleading or failing to direct her (as, to be honest, so many people do) she took on the responsibility for the extra lap and said that her finishing time should stand. She did this without knowing what the other young Lady was willing to do in terms of wanting to concede the race to her because of the lead she had and, as a result, her ownership and accountability of her actions are in our opinion really quite exemplary and magical. Mind you, the generosity of the young Lady who was first across the line is equally special in our view which is why we would like to acknowledge and applaud both Esmae and Kylie along with young Hugo for truly being perfect examples of being "stronger than your strongest excuse" and such inspirational ambassadors and shining lights of the Live More sporting spirit we hope all of our participants develop from participating with us. As well as ensuring that the 2017 Series really ended on two exceptional high and pleasant notes for us. Looking forward to seeing you all next year and hoping that you all can train as hard as you all race. Note: All photos credit to Andrian. For full album please kindly visit HERE.